Software is not called soft-ware for nothing. Computers are more malleable than you might imagine. With the right tools, computers can be sculpted to almost perfectly fit an individual's hands and needs. I am an expert on techniques that remove the barriers that people with disabilities face when they operate computers. These techniques fix accessibility problems, automate repetitive tasks, and simplify the appearance and operation of computer programs. People who use these techniques perform computer-related tasks faster and easier, and make fewer mistakes. A vital customization technique is macros. A macro is a custom shortcut. I create macros to simplify physically or cognitively demanding tasks, fix programming errors, make software features work the way users expect them to work, and repair accessibility and usability problems. I also develop custom voice commands for Dragon Professional. My specialty is voice-enabling applications so that they can be controlled reliably, efficiently, and intuitively by voice. Read my article on software customization and macros, published in Abilities Magazine. 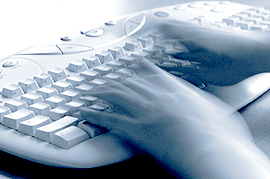 AutoHotKey: A powerful Windows scripting tool. Dragon Advanced Scripting: The programming environment built into Dragon's Professional, Medical, and Legal editions. I use it to create custom commands or voice-enable entire applications. Dragon DVC: This is a legacy scripting tool that I use to develop complex voice commands that run faster than Advanced Scripting commands. Macro Express: A versatile scripting tool that allows rapid prototyping and development of software shortcuts and repairs. Visual Basic for Applications (VBA): The programming environment built into Word, Excel, PowerPoint, Outlook, and other Office products. I also use less-known features built into Windows and the Mac OS to create macro-like shortcuts. These shortcuts are extremely powerful, and can often be made in a minute or less. My academic background includes a Master's degree in Measurement, Evaluation and Computer Applications from the Ontario Institute for Studies in Education. I have been honing the art of computer customization for over 20 years, have presented on the topic more than fifty times, and have published about 20 articles on the subject. I maintain the Windows Macros FAQ. If you have questions about macros or computer customization feel free to write.